The topic of the EPF Conference “Too much – Not Enough” prompts a reflection on the complex articulation of Winnicott’s thinking about object relations. Winnicott’s contribution to a deep exploration of psychoanalytic thinking has two elements that are apparently contradictory. On the one hand, compared to Freud’s one-person theorization based on the analysis of the forces and dynamics at play within the subject, he radically shifts the focus of attention and of treatment in the direction of two-person analysis – where the interaction between subject and environment is emphasized and placed at the core of the therapeutic action (“There is no such thing as a baby, there is a baby and someone”, 1966). On the other hand, he strongly defends the right of the subject not to be changed by the object and to keep a sacred area, inaccessible to intervention by the other-than-me. (Communicating and Not Communicating Leading to a Study of Certain Opposites, 1963). Winnicott’s theorization about the false self concerns the need to protect this core against destructive intrusions and colonizations. While considering essential for the psychic birth the relationship with an empathic caregiver with a holding capacity that ensures the going on being through changes, Winnicott expresses his intolerance of any initiative where the analyst is actually using the affective and libidinal transference currents to exert an educational or directive-orientating influence on the analysand. So should we think that the presence and the function of the object, in Winnicott’s theorization, is “Too Much” or “Not Enough”? The appreciation of the unconscious world of the subject and the trust in the development that this can have, if accepted in a facilitating relational environment, is peculiar to Winnicott’s thinking. As his thinking develops and becomes deeper, Winnicott shows his intransigence in stressing how central the unconscious factors are as a source of the subject’s irreducible psychic independence . Trusting the value of the evolving relationship and at the same time the need/wish for the most sacred foundation of the self not to be altered, Winnicott is aware of this vital tension of opposite polarities both in his thinking and in his clinical practice. He expresses this more explicitly, sometimes in less formal communications, such as book reviews or letters written after meetings at the British Society. Here Winnicott refers to his conceptualization of the use of an object (The Use of an Object And Relating Through Identifications, 1971): the destructive drive gives to the object a character of otherness that survives the phantasy of the subject having destroyed it, from which the sense of reality and of one’s own maturational force – based on the contact with one’s own internal unconscious world – stem. The object is not a bundle of projections, it has its own autonomy, and the subject personally experiences his own destructive drive. This statement is an example of the ongoing struggle, in Winnicott’s thinking, between listening to the other and the need to maintain one’s own independence. He suggests, both in analysis and in psychosomatic development, a journey going from helpless dependence to relative dependence to independence. It is a statement with respect to the importance of keeping an internal loneliness in terms of relating to external reality, where Winnicott points to the risks of adaptation, submission, contamination, loss of the true self. In one of his letters to M. Klein (November 17, 1952) he says that this belief cannot simply be “dismissed as Winnicott’s illness.” The occasion is when Klein invites him to write a chapter for a book she is editing. Winnicott declines the offer and explains his reasons: he feels confronted by one of his personal difficulties, the relation to the external reality shared with others he has always had difficulty adjusting to. But this difficulty/quality is in fact the element that allows him to understand infants and schizoid patients and to elaborate key theories, such as the theories of transitional phenomena and of male and female split elements. The point is to use a relational experience to acknowledge the early wounds of psychism and to create the possibility to resume psychic growth (“Development is my line of country”, 1964a). This process requires the presence and the intervention of a non-intrusive and non-replacement object that performs a holding function. Holding is a psychic function of presence and continuity carried out by the object when the subject – in order to come in contact with the core of his self, that has been colonized and almost replaced by the object – wants to move away without needing self-containment so as to prevent his own breakdown. The concept and the word “holding” mean to hold an object in the hands or in one’s arms, to remain in a state. In this case the object’s function is to allow the subject to suspend his self-containment and promote a fresh developmental start (Metapsychological and Clinical Aspects of Regression within the Psycho-Analytical Set-up, 1959). In such cases, transference interpretation is used as a means to let the patient have an intense and authentic relational, emotional experience and not to uncover the denial of a helpless dependence on the object. The relationship is not used to emphasize the object’s processing and imaginative qualities, but to foster and strengthen the independence of the subject who, through the relationship, reaches a wealth of primal experiences from which to start again in his development. This aspect of Winnicott’s theorization enhances the function of the use of the object in the building of the sense of self, to achieve the capacity of feeling alive and uttering a strong I am. Besides this dimension focused on the ruthless use of the object by the subject, in Winnicott’s thought there is another psychic current, that looks for the perceptive and sensory aspects of the objects so that the subject can encounter the non-me world in ways that are not annihilating. Along with the development of the subject’s independence and loneliness, a stream geared to the encounter with the objects opens up. These objects, through their perceptive otherness, lead to an expansion and mutative enrichment of the self. “It is true that the piece of blanket (or whatever it is) is symbolical of some part-object, such as the breast. Nevertheless, the point of it is not its symbolic value so much as its actuality. Its not being the breast (or the mother), although real, is as important as the fact that it stands for the breasts” (Winnicott, 1971, p. 6). When the transitional object appears, this is the sign that the subject has moved from his inner reality to a reality other than his self and has done psychic work, whereby he has given to an object – recognised as being out of his boundaries and his desiring activity – a meaning that allows him to include the object in his own world without feeling annihilated by it. Through the transitional object, some early element from the non-me reality enters the subject’s mental boundaries, without destroying him or fatally wounding his quality. In fact it enriches him with a sense of power and aliveness. What establishes the transitional object, after the unilateral act of choice, is its concrete nature and its perceptive-sensory quality: its colour, its smell, its appearance. 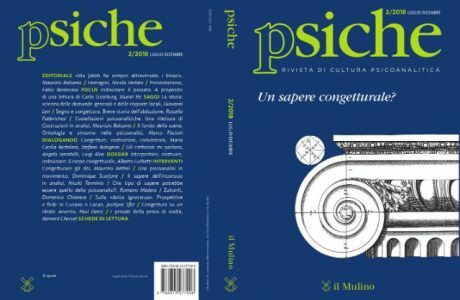 It is unique, precisely because it is not a symbol and it cannot be replaced: its sensory features are not to be associated with mechanisms of fetishistic attachment (where the process can degenerate pathologically as the very sign of the inability to tolerate the absence), but with the quality of an implied psychic work, that has challenged the difficulty of getting in touch with the non-me reality and including it in the subject’s psychic reality for the first time. This is why the transitional object’s sensory characteristics are important, as they carry the mark, the experiential and perceptive trace of the encounter with the object’s irreducible otherness and with the inevitable decrease of the inner oscillation between omnipotence and helplessness. Furthermore, as the non-me object enters the subject’s psychic world, with all its perceptive richness and sensory stimulation, it paves the way for the world of the objects that are called to inhabit the world of the subject because of their not annihilating but in fact satisfying and potentially transformative appeal for the subject. Bollas (1992) says: “Each entry in the experience of an object is rather like being born again, as subjectivity is newly informed by the encounter, its history altered by a radically effective present that will change its structure” (59). We can wonder what limits need to be put on the analytic constructions of the dyad that, during the co-construction work, incorporates and owns, through subjectivisation processes, new elements of the object’s world, and therefore phantasies, words, images introduced by the analyst in the relational context. The subject grows up, that is, his subjectivized experiences of non-me objects enable him to feel emotions and acquire richer and deeper knowledge. This is what happens to Kate as she is forced to leave her confined world that depends on her family and to venture into the forest of experiencing non-me objects, including the analyst, that expand her sense of self. At this point, we find ourselves at the opposite pole to where we started off: the achievement of the subject’s individuality and independence. The conditions, under which the subject is hungry for experiencing non-me objects in a seemingly boundless expansion, are met. We wonder about the necessary limits to this expansion, this hunger for what is other-then-oneself, with the risks of explosion or breaking of the mental container (Ferro, 2002). The limits are the limits of the living, of the skin ego (Anzieu, 1985) that needs to contain, without breaking down, contents and potential exchange to communicate with the inner and outer world, like the water drop that holds together its valuable content through its surface tension, or like the semi-permeable cell membrane which is in continuous metabolic exchange with the environment. Here, the concept of object integrity formulated by Bollas (2009) can help us to deal with this contradiction regarding the presence of the object in the subject’s life – whether the former is Too much or not enough. Emotional experiences are linked to objects that set them into motion. According to Bollas, we construct our language through the intelligence of forms, configuring our life through the choice of complete objects. The object’s integrity has the potential to initiate evocative processes. Objects have their own structure and beauty that are to be respected and, because of this integrity that makes them alive and pulsating, they can become available to meet other objects that are a source of emotions. This constructive-deconstructive-constructive process (Bollas, 1995) is healthy and vital because we are within the realm of encounters with objects, people and configurations that have a structure of their own holding them together. Abstract configurations also have this integrity of objects, such as Pollock’s dripping or Klee’s drawings of a nascent form, as they are produced by a living, whole author. They work as evocative objects that activate subjectivisation processes – i.e. stories, drawings, pieces of music that have an integrity in their unitary, dynamic, vital functioning and, for this reason, can be used for processes of re-creation by the subject that assimilates and continuously also reorganizes the structure of new experiences. The object is not only a container of the subject’s projections, but has its own distinct structure, its intactness that makes it a dynamic and functional unit. When the subject uses it to process and articulate his self, he comes in contact with the completeness of the object that has its autonomous life, what we call “beauty”, and does not need the intervention of the other to exist. Like the art piece that continues to live after being separated from its author. A journey thus begins towards creating one’s own wholeness, the representation of the self that functions with a cohesion that is sufficient for survival of the individual in a shared world, with beauty constituting its communicating and autonomous cohesion. The analyst acted with Kate as a living object with her own pulsating integrity, wishing to meet with a living subject capable of manifesting herself with her own complete and functioning wholeness. The constructive-narrative techniques are stories that we tell our patients, made up of interpretations in the analytic sessions that postpone the time of absence and emptiness. The space, empty of significant constructions and made up of a sound and renewable relational context, can originate new whole objects that stem from these encounters. The analytic technique is the shared ability to outline a solid and changing picture, that can turn into many stories. 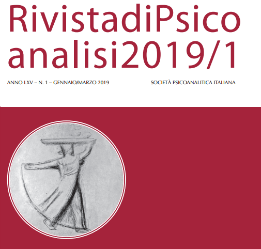 A psychodynamic theory of subjectivisation (Bollas, 2009) allows us to have a secure base (Balint, 1968) and, at the same time, to transform it continuously, depending on the internal/external context. Bollas (2013) says that the East has found a way to develop the collective mind by keeping the individual language – where the personal self and the social self are mixed together, as in poetry, the core expression of the self uniting the particular and the universal. Thus, in analysis the possibility of us being used by the patient for the construction of the patient’s self and our willingness to function as a living object paving the way for the encounter with non-me objects – with their perceptive-sensory force – coexist. Anzieu D. (1985). Le Moi-Peau. Dunod, Paris. Balint M. (1968). The Basic Fault. Therapeutic Aspects of Regression. Taylor and Francis, London. Bollas C. (1992). Being a Character. Routledge, London. Bollas C. (1995). Cracking up. Routledge, London. Bollas C. (2009). The Evocative Object World. Routledge, London. Bollas C. (2013). China on the Mind. Routledge, London. Ferro A. (2002). Fattori di malattia, fattori di guarigione. Raffaello Cortina Editore, Milano (Seeds of Illness, Seeds of Recovery. Routledge, London, 2004). Winnicott D.W. (1954). 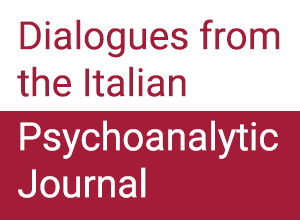 Metapsychological and Clinical Aspects of Regression within the Psycho-Analytical Set-Up. In (1958) Collected PapersThrough Paediatrics to Psycho-Analysis. Tavistock, London. Winnicott D.W. (1963). Fear of breakdown. In Psycho-Analytic Explorations (Winnicott C., Sheperd R., Davis M. ed.). (1989). Harvard University Press, Cambridge MA. Winnicott D.W. (1963). Communicating and Not Communicating Leading to a Study of Certain Opposites. In The Maturational Processes and the Faciltating Environment: Studies in the Theory of Emotional Development. Hogarth Press, London. Winnicott D.W. (1964). Memories, Dreams, Reflections by C.G. Jung (Review of). In: In Psycho-Analytic Explorations (Winnicott C.,Sheperd R., Davis M., ed.). (1989). Harvard University Press, Cambridge MA. Winnicott D.W. (1964). Roots of Aggression. In: In Psycho-Analytic Explorations (Winnicott C.,Sheperd R., Davis M., ed.). (1989). Harvard University Press, Cambridge MA. Winnicott D.W. (1965). The Psychology of Madness : A Contribution from Psycho-Analysis. In: In Psycho-Analytic Explorations (Winnicott C., Sheperd R., Davis M., ed.). (1989). Harvard University Press, Cambridge MA. Winnicott, D. W. (1965). The Family and Individual Development. Tavistock, London. Winnicott D.W. (1966). The Unconscious. (In Press). Winnicott D.W. (1971). The Use of An Object And Relating Through Identifications. In Playing and Reality.Tavistock, , London. Winnicott D.W. (1987). The Spontaneous Gesture. Selected Letters of D.W. Winnicott (Rodman F.R. ed. ), The Winnicott Trust. London. Winnicott D.W. (1988). Human Nature. The Winnicott Trust, London.